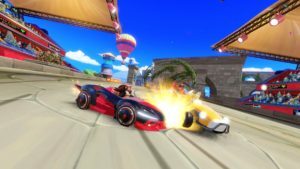 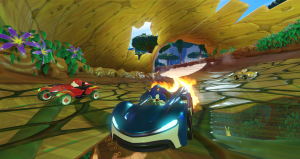 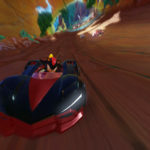 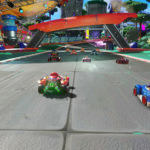 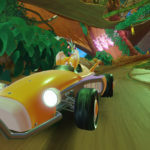 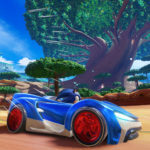 Gamescom is currently on, and as such there’s been plenty of new information regarding the upcoming Sumo Digital racer Team Sonic Racing, from a variety of sources. 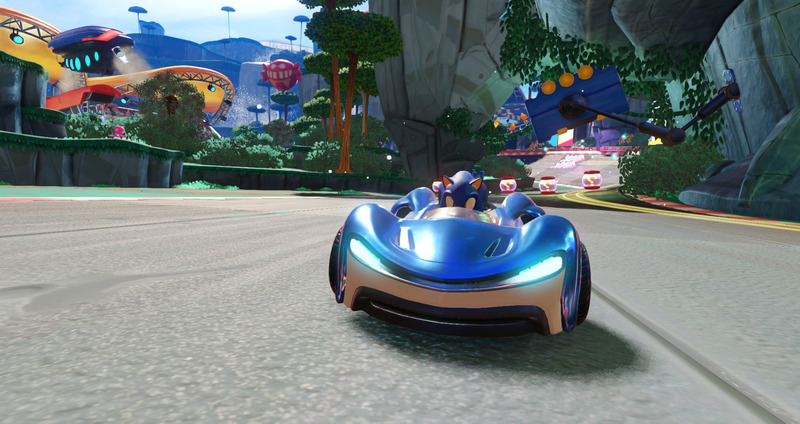 First of all, a new track has been shown to press, revealing Market Street – based on Sonic Unleashed’s Rooftop Run. 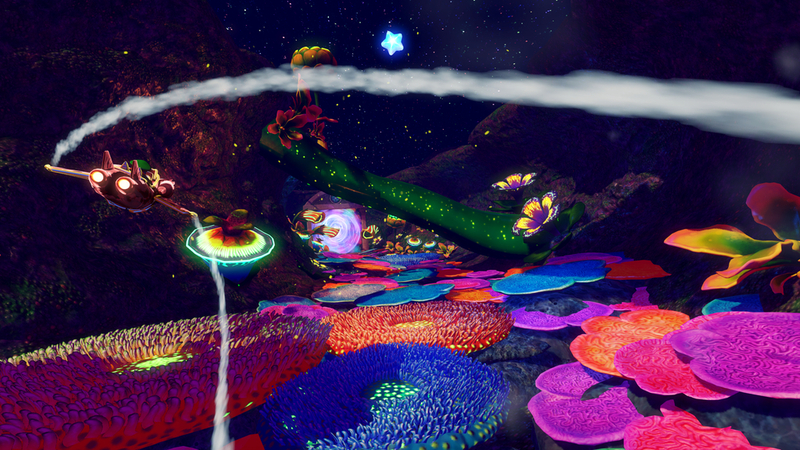 It seems more based on the Generations iteration of the stage, with balloons and confetti abound. 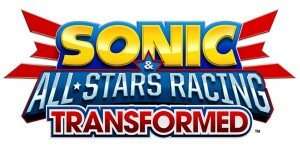 Famitsu has also published a preview of the title, revealing the mysterious character seen on the game’s box art. 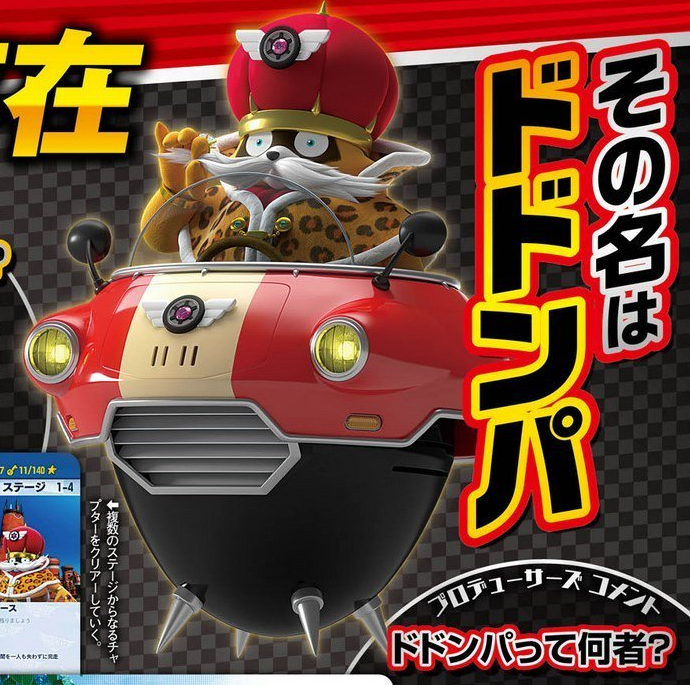 His name is Dodonpa, and he’s apparently a suspicious but charismatic Tanuki who invites Sonic and co. to race. 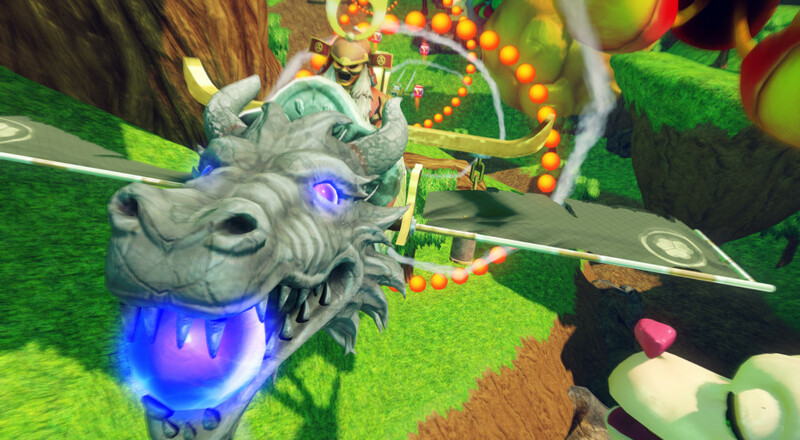 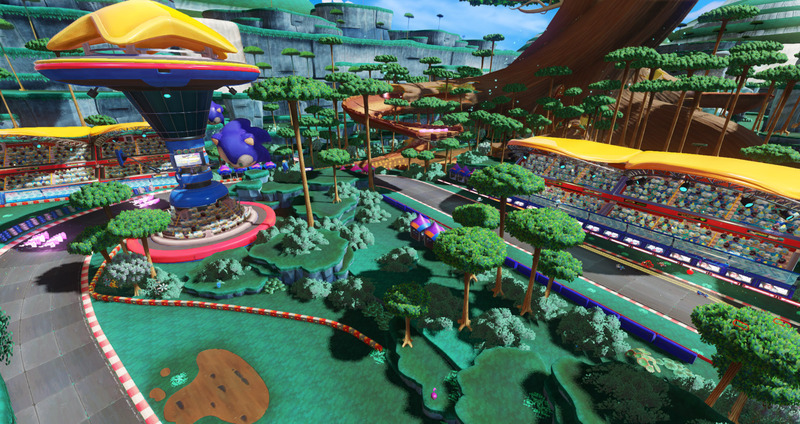 They also offered a brief look at the game’s story mode, which appears to have a similar map system to Sonic & All Stars Racing Transformed’s World Tour mode. 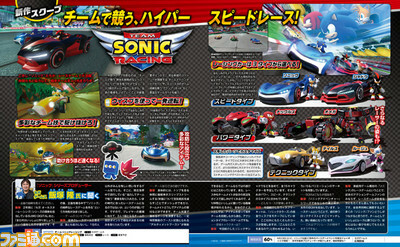 Cutscenes of some description are also in, though they appear to be basic textboxes with portraits a la Sonic Free Riders. (We haven’t included the full scans of Famitsu due to it being a bit spotty legally, but they’re out there). Finally, an IGN Stream has confirmed the number of tracks on offer. 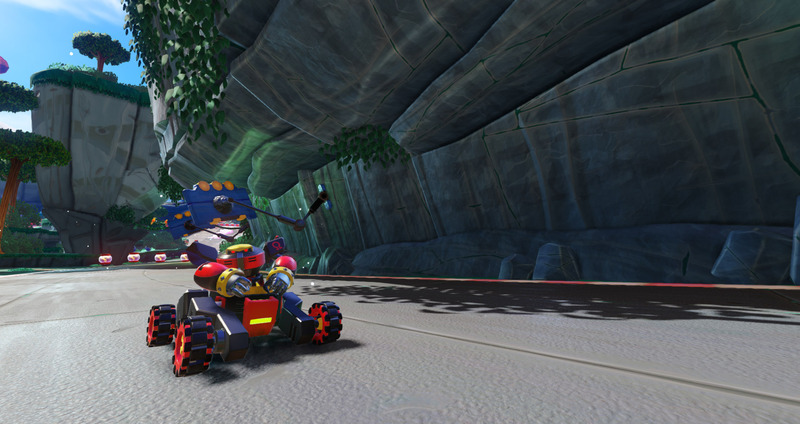 There’ll be 21 tracks, spread across 7 locations. 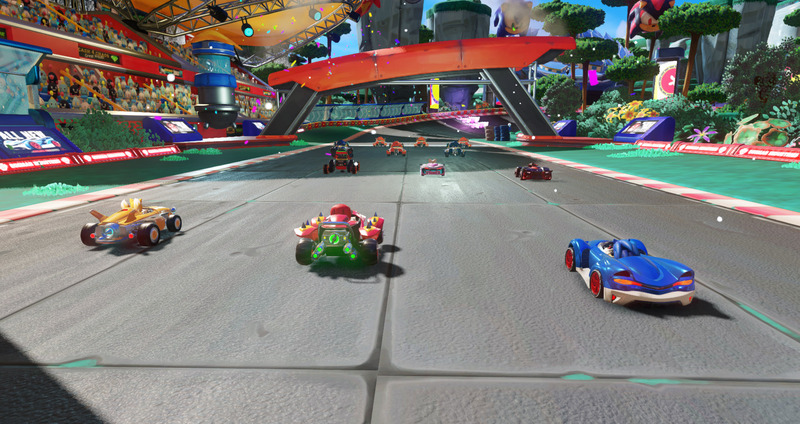 This is similar to the original Sonic & SEGA All Stars Racing, which had multiple tracks in say, Seaside Hill and Final Fortress from Sonic Heroes. 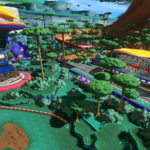 Apparently the earliest game to be represented through tracks will be Sonic the Hedgehog 3 – although ingame signage has mentioned Green Hill Zone. 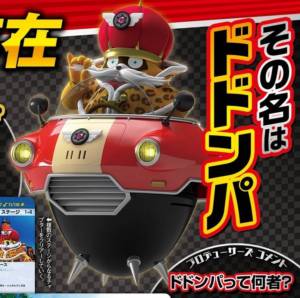 On a more amusing note, you can make a team of the same character – so if you want a Big the Cat army, that’s a thing you can do. Team Sonic Racing will release on PC, PS4, Xbox One and Switch this Winter 2018. 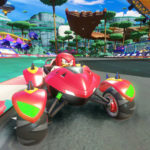 The game is being developed by Sumo Digital and features new music from Jun Senoue and Crush 40. 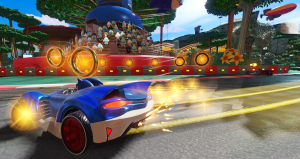 Team Sonic Racing is being developed by Sumo Digital and will launch on PS4, Xbox One, Steam and Nintendo Switch this Winter. 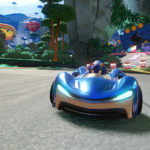 Sumo Digital have put together a gallery of unused concepts for the original Sonic & SEGA All-Stars Racing. 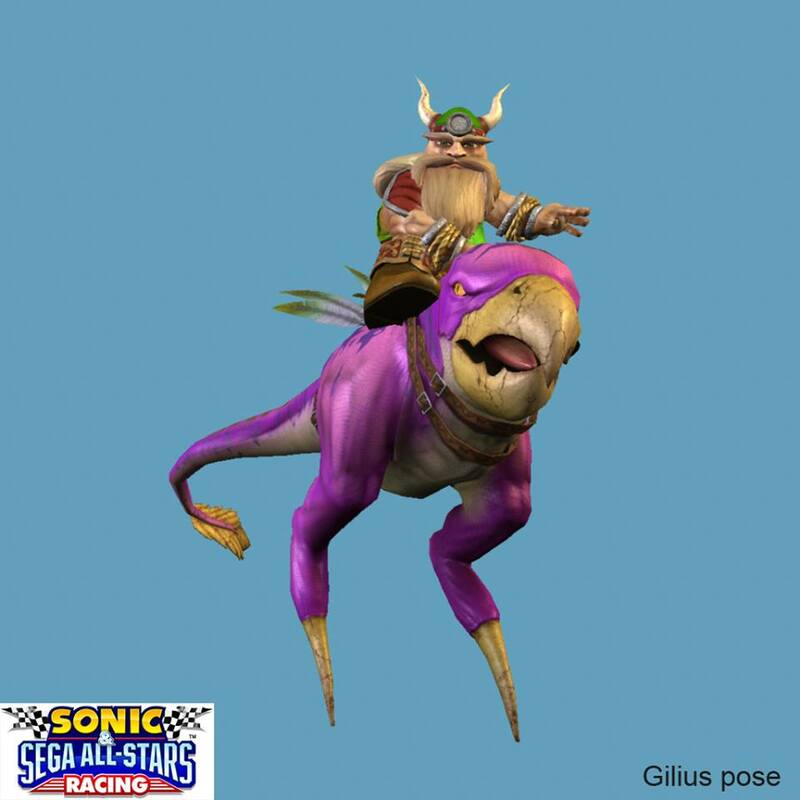 As you can see above, Gillius was due to appear in the first game riding the Chicken Leg creature from the first Golden Axe. 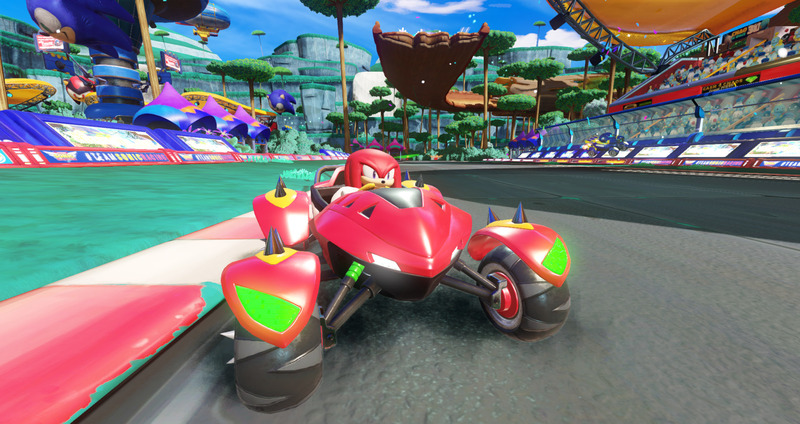 Sonic is also seen running around without a vehicle and Tails can also be seen a biplane similar to the original red Tornado design. 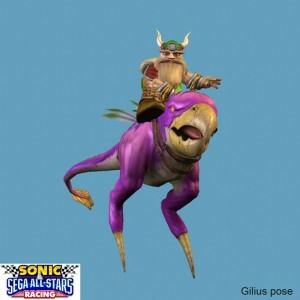 Click here to view the entire gallery on Facebook. 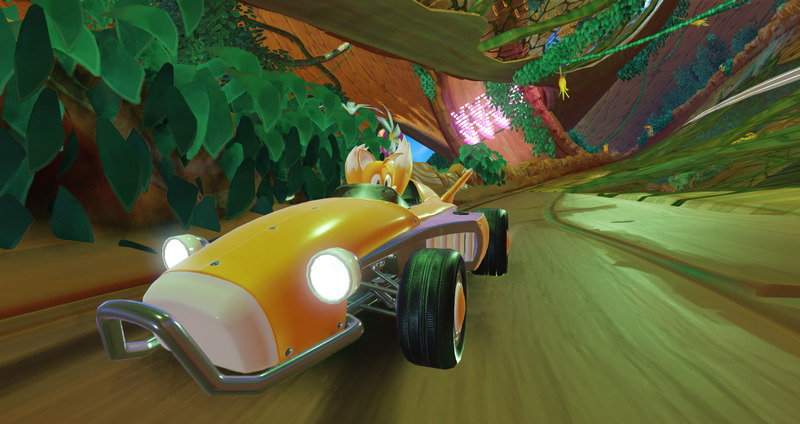 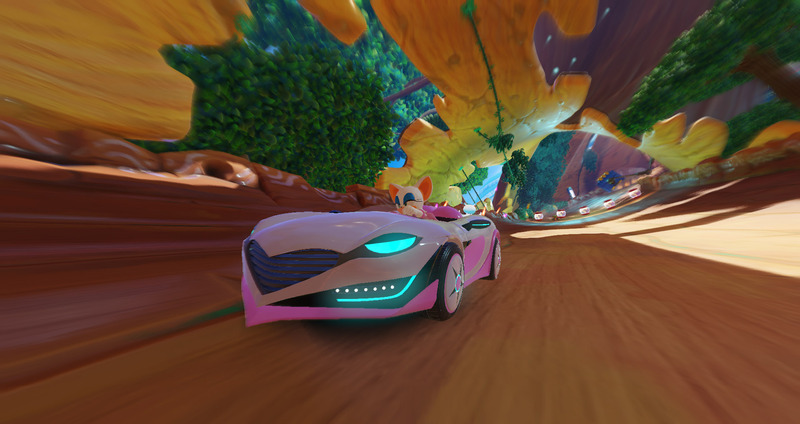 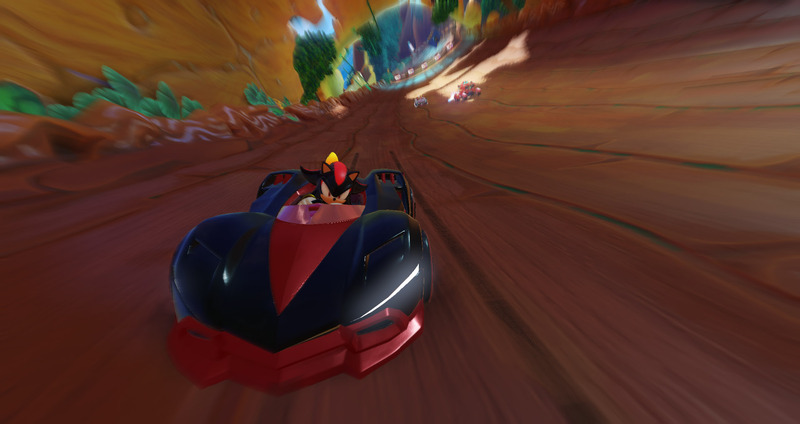 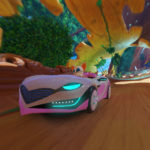 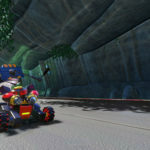 The Sonic Stadium have uploaded a bundle of new screenshots from the PC version of Sonic & All-Stars Racing Transformed. 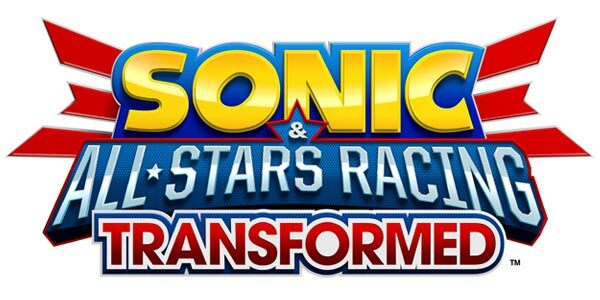 These specifically focus on the PC exclusive characters. 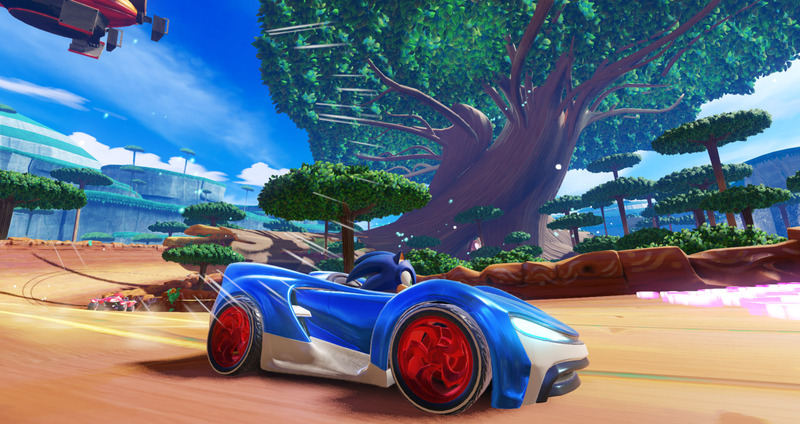 Click here to be taken to the gallery now and get a better look at the PC version of Sonic & All-Stars Racing Transformed.